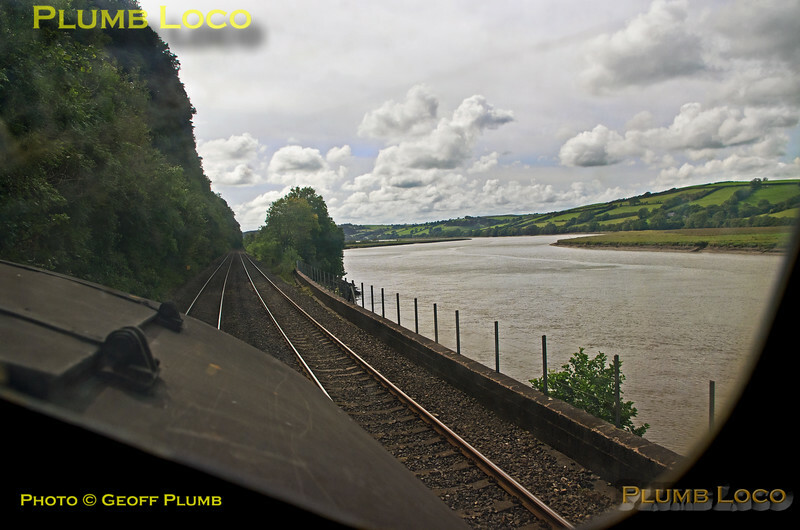 View from the cab of 37175 at the head of the BLS "565 Special" as it follows the Afon Tywi (River Towy) from Carmarthen towards Ferryside near Coed Farm, heading for Kidwelly and the Central Wales Line. 15:03¼, Saturday 2nd September 2017. Digital Image No. IGMP30814.